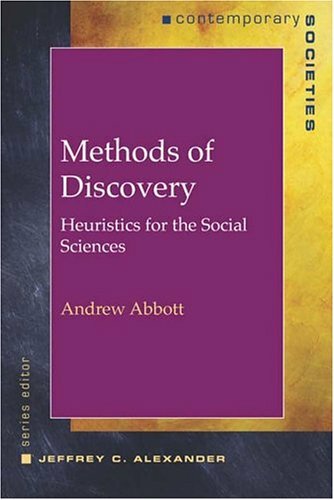 Methods of Discovery is organized around strategies for deepening arguments in order to find the best ways to study social phenomena. This exciting book is not about the mechanics of doing social science research, but about habits of thinking that enable students to use those mechanics in new ways, by coming up with new ideas and combining them more effectively with old ones. Examples from throughout the social sciences help show how these moves can open new lines of thinking. Each chapter covers several moves and their reverses (if these exist), discussing particular examples of the move as well as its logical and theoretical structure. This book offers readers a new way of thinking about directions for their research and new ways to imagine information relevant to their research problems.